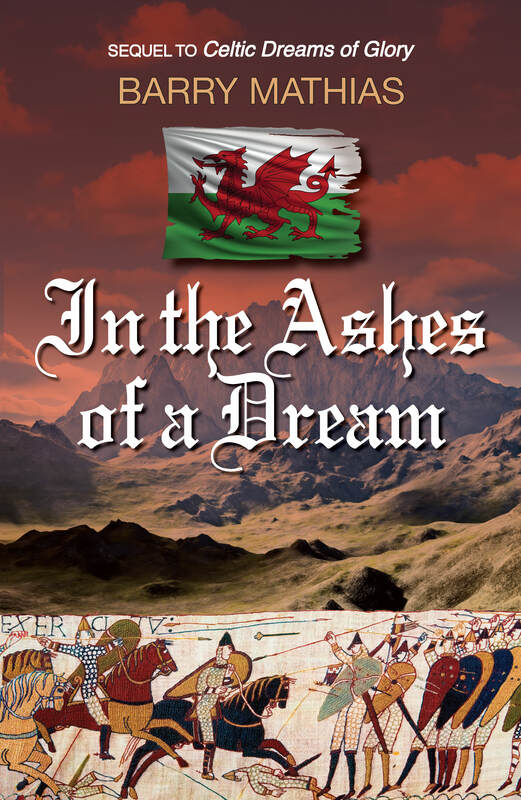 Set in the turbulent times following the death of the Welsh King Gruffydd ap Llywelyn in 1063, the story follows the lives of the brothers Gwriad and Dafydd who, in the previous novel Celtic Dreams of Glory, had risen to become the King’s most important supporters. With their wives, Angharad and Teifryn, they try to re-establish their former lives in their castle in South West Wales. But, both men find it hard to settle down in this quiet back water after their exhilarating years of political and military involvement in the defence of Wales. Running parallel with their story is that of the powerful Harold Godwinson, the Saxon Earl of Wessex, as he struggles to convince the childless King Edward of England that he, Harold, should be the next in line for the throne. After defeating the Welsh King, Harold has become a national hero and assumes he will automatically be king following the death of the sick monarch, but Edward favours Duke William of Normandy. Gwriad and Dafydd join forces with other Welsh lords to attack Shrewesbury and destroy Harold’s palace near Chester in revenge for his invasion of Wales. Meanwhile, Angharad and Father Williams fight off an attack by Pictish raiders. During their retreat back to Wales the brothers have to defend themselves from a determined enemy, and Gwriad is seriously injured. His long recovery puts pressure on the whole family: Dafydd seeks the affection of the enigmatic Derryth, while Jon, Gwriad’s new squire, struggles with his identity. Harold has to cope with his unruly brother, Tostig, while continuing his plotting to become King. He decides to make a lightning attack on Caerdydd and is forced to retreat. The unsuspecting brothers and their wives are making a journey to Caerdydd at this time, and get separated with tragic results. Months later, Harold becomes King, and the brothers plan to kill him. Their hopeful plan fails, but not before they become involved in the Battle of Hastings. The unexpected ending is a satisfying conclusion to an heroic tale. This entry was posted in My Novels. Bookmark the permalink.